PHILADELPHIA, PA – June 5, 2018 – Janney Montgomery Scott LLC (“Janney”), a leading full-service wealth management, financial services, and investment banking firm headquartered in Philadelphia, PA, announced that Steven N. Perlman, First Vice President/Wealth Management, has joined Janney in the firm’s Boston, MA branch office. 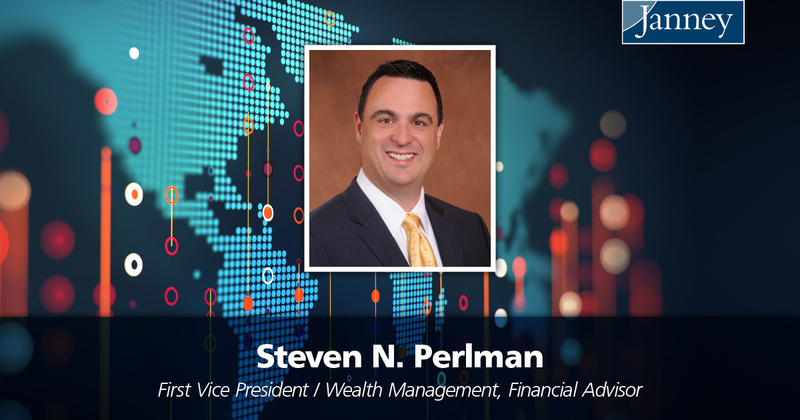 Mr. Perlman, a 23-year industry veteran, was previously affiliated with Raymond James. Mr. Perlman currently serves as Vice President of Medway Youth Basketball. He previously served as a board member for the Bay State Hospital Charitable Foundation and volunteered his time coaching Medway youth basketball and soccer. He earned a bachelor’s degree in Business Administration/Finance from Bryant University. Janney’s Boston, MA branch office is located at 60 State Street, 35th Floor, Boston, MA 02109.